An 'Effective International Schools Series' publication. 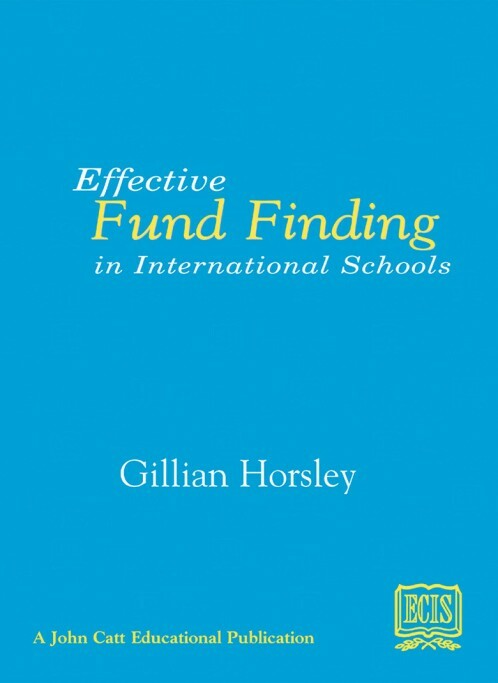 Written by Gillian Horsley, this guide provides examples and practical suggestions on different aspects of fundraising techniques. This is a practical resource for all educational institutions that are run by a board of trustees or governors. Each section is devoted to a different aspect of development. Later chapters offer practical suggestions on different aspects of fundraising, ranging from innovative ideas to raise awareness, through useful publications, to how to build and maintain crucial relationships. The author: Gillian Horsley is currently the Principal of Carmel School in Hong Hong. Born in South Africa, she started teaching in early 1971. Fifteen years later she set up an education consulting firm which focused on redressing the disparity in education in the country. Most of the projects required outside funding and so she started to work closely with both private and public sectors, as well as with philanthropic foundations. By 1990, she was working on three continents, raising millions of US dollars for education every year. Since then she has raised funds for projects in the USA and the People's Republic of China. Her special events experience includes designing and coordinating the first public information programme for the 3 million visitors to the 1996 Olympic Games.